Elizabeth Borycki is a Professor in the School of Health Information Science at the University of Victoria, Victoria, British Columbia, Canada. Elizabeth joined the University of Victoria 15 years ago. 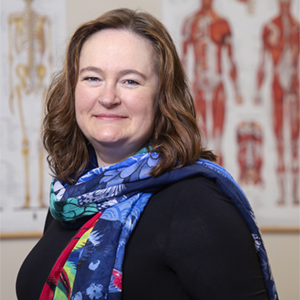 Prior to coming to the University of Victoria, she spent over 15 years working in healthcare in varying nursing, clinical and health information technology roles. She has published over 200 articles, 40 book chapters and 10 edited books. The focus of her research and publications has been in the areas of health information technology safety, virtual care (mobile, eHomecare and telehealth), health information technology management, health information technology competencies and data science in healthcare. Elizabeth has served as Academic Representative for Canada for Digital Health Canada [formerly Canada’s Health Informatics Association (2007-2013)], Vice President representing North America on the Board of Directors for the International Medical Informatics Association (IMIA) (2010–2013), and Vice President – Special Projects (2016-2019). She founded the International Medical Informatics Association Working Group focusing on Health Informatics for Patient Safety and she was the Scientific Program Committee Co-Chair for Medinfo2017, one of the largest health informatics conferences globally. She was voted one the Top 10 Women in Digital Health by Digital Health Canada (2018) and the Top 100 Health Sciences Informatics Professionals Globally by the International Medical Informatics Association (2017). Elizabeth is a Fellow of the Canadian Academy Health Sciences Informatics, American Medical Informatics Association, and International Academy of Health Sciences Informatics of the International Medical Informatics Association. Elizabeth received her PhD from the Department of Health Policy, Management and Evaluation at the University of Toronto, a Masters of Nursing from the University of Manitoba in geriatrics and community health nursing and an Honours Bachelor of Science in Nursing from Lakehead University.